Yes to the workshop, to hell with the factory. Yes to a human dimension, no to the produce-use-throw away. A human dimension above all, to hell with assembly lines, C02, and executives. We want areas that smell of coffee and high spirits, not smog and plastic. Beautiful music not noise. 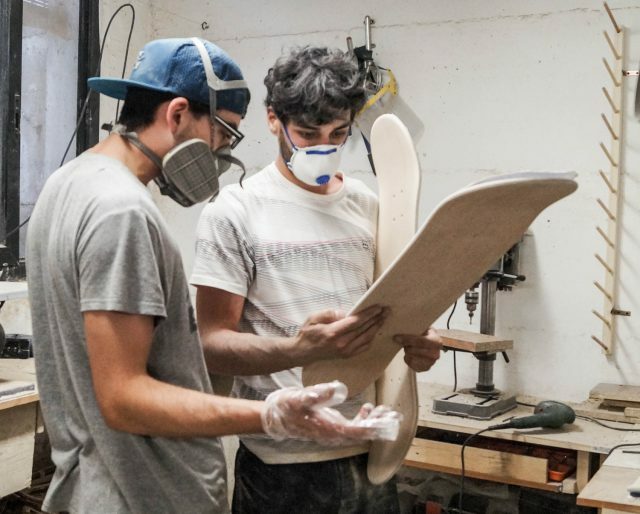 Every morning we enter our workshop without knowing in what state we will be leaving: happy, exhausted, bruised, full of bandaids, exhilerated or hung-up, looking for a place to hang ourselves. It’s all part of the game, we know that and accept it. We explore inside ourselves the opportunities that our tools can give us. Hands, brains, fantasies. We started out ten years ago because we did not have another choice, this was our destiny. We worked all over: on the street, under the staircase, in the car, and in the woods. The aim is always the same: to provide a deck that represents us. Pure and sincere. Made in a workshop like in the old times but while looking ahead, experimenting new techniques, technologies and values. 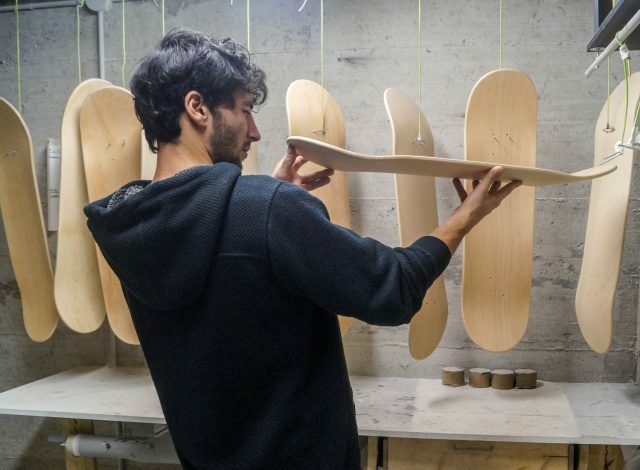 Putting many kilometres under our belt: on skateboards, on ramps, on the street, on walls. For tests and for fun. We like to plan but we also like to get lost. Even with the car when we go searching for suppliers that guarantee their products. We have chosen our suppliers with care, for us they are the best, not only in Italy but in the whole world. The resources that they give us come from nature, and for us the environment deserves respect. Our names are Johnny and Alessandro. Location: San Marino, Italy, overlooking the Adriatic Sea. 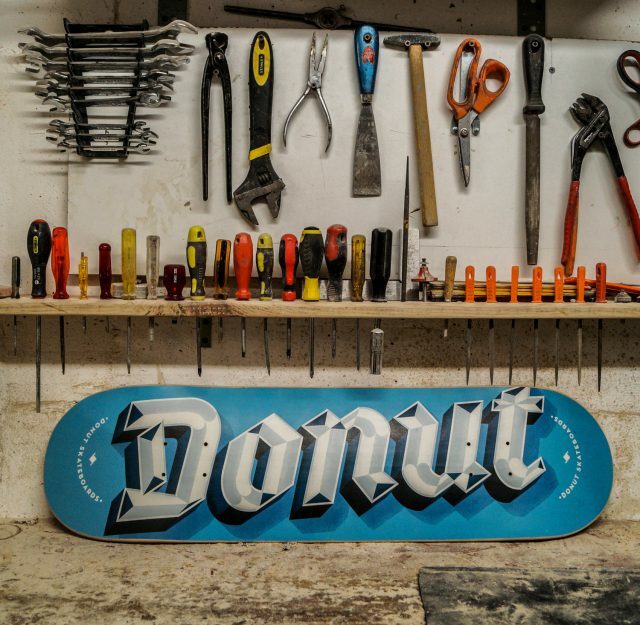 Donut skateboards starts from us and ends up under the soles of your shoes.